We understand that every business organization is different and has different IT skillsets in place. As such, we can offer as much or as little installation support as our clients may need. For businesses that have limited IT support in place or support with limited telecom skills, this is the best option for you. 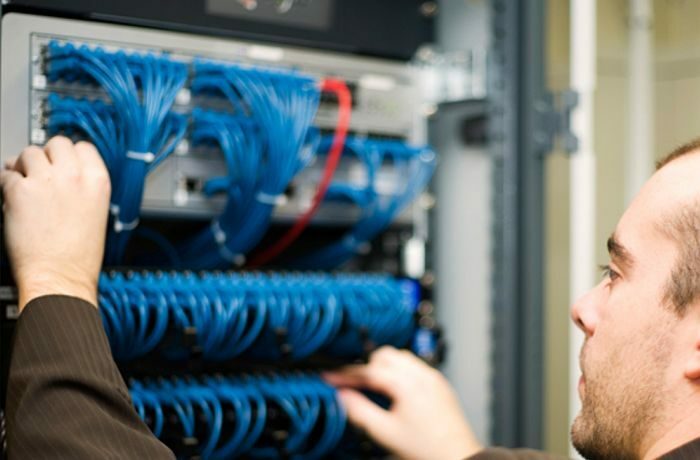 We can handle the full installation of handsets, switches and the gateway. Our team will configure call flow, hunt groups, auto attendants, voicemail, and even the custom button configurations on the handsets. This installation option is for business organizations with IT support in place that handles network configuration and traffic routing. We configure the handsets and Cloud Hosted PBX settings enabling the in-house IT support to integrate the telecom into the network. This option is useful for IT support that is trained in networking, but that might not have a background in Hosted PBX. Used primarily for larger enterprise, this option puts the full installtion in the hands of the clients IT department. The ideal scenario here is an IT department that is proficient in networking, traffic shaping, and Hosted PBX configuration. We perform basic configuration to the gateway and handsets and rely on the in-house IT to successfully complete installation. We are always available through phone support to help along the way. We also remind our customers that included support will be there month after month to help with any and all adjustments a customer needs. We always want our clients Cloud Hosted PBX to run at maximum efficiency.